:: NikG* Life + Style ::: Green cubes. I'm sure you're wondering what is that I am holding. Well, my dear friends, that is a spinach cube! Let me explain. I came across this article "11 Secrets to Properly Freezing Produce" and one of the tips jumped out to me. Basically, if for example, you're running out of space in your fridge's produce crisper or you have some leafy green veggies (i.e. spinach, kale, etc.) 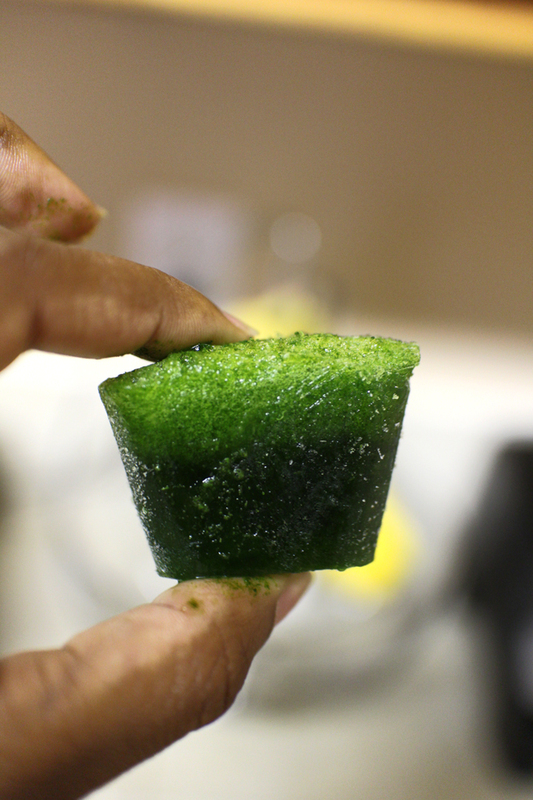 that you may anticipate losing freshness and getting wilt-y before you have the chance to use them in your green smoothies--turn them into green cubes! 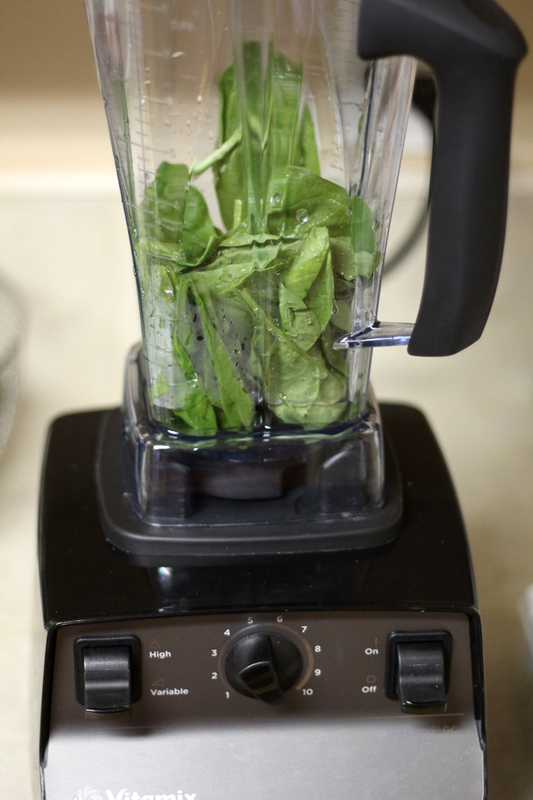 All you need to do is put your greens in your blender with enough water to make a puree and blend. 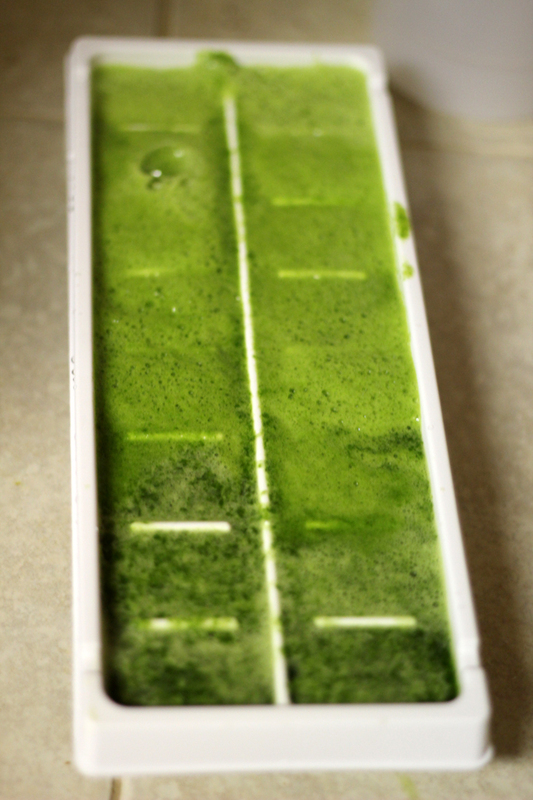 Then pour those liquified greens into an ice cube tray and freeze. 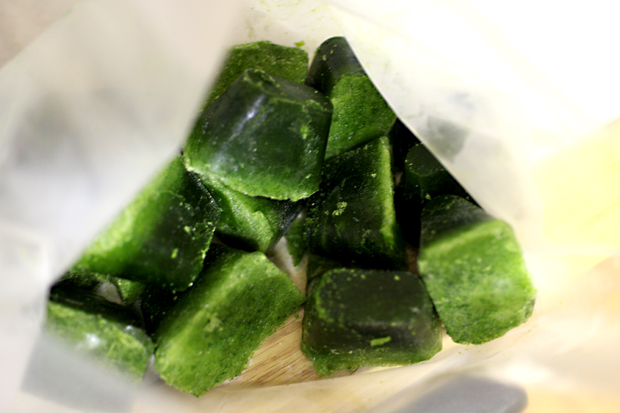 Once frozen, transfer the cubes into a freezer bag, and you now have these lovely green cubes to throw into your blender with your fruit and other stuff that you use to make your green smoothies! These cubes last MONTHS in the freezer with minimal loss to their nutritional value. So, thank me later! Wow. I've heard of freezing fruit juice but never this. Great idea. beyond brilliant - I haven't frozen spinach yet! How sweet! I typically just through my leafy greens in a freeze bag, so definitely going to try this! Yess, I will definitely be trying this when I get a proper blender. Can I post this on Pinterest?